A thousand photos do not do Crozon justice. I have tried taking photos from all angles but there's no way to capture the wonder of this stunning peninsula in Brittany, France. The beautiful seaside resort of Crozon is located in Finistere on an extensive peninsula, which includes many villages and breath-taking beaches. The town is located between the Bay of Morgat and the Tip of Kador, two places to discover through the many walking trails leading to Camaret Sur Mer. Crozon is an easy drive from our home on brand new roads. The peninsula has an abundance of sandy beaches much to the delight of families and water sports enthusiasts. Crozon has a strong maritime culture in the heart of this local community; you can even visit boat cemeteries that are part of the local folklore. (The boat cemetery in Camaret is well worth a visit.) Hidden away beaches and heather-covered cliffs offer superb panoramas for visitors. La Palud, further south, is a famous surf and kite-surf spot. But you can choose the beaches at Kersiguénou, Postolonnec, Source or Poul. Aber is located on the estuary. Hiking trails abound, from Cap de la Chèvre to the tip of Kador or Dinan. We like to visit in time for sunset and whether it's winter or summer, the breath-taking scenery never fails to impress. It's a photographer's dream from the tiny wild flowers growing among sandy grasses on the cliffs or the huge swaths of heather, that drop away to an often dark and savage sea below. Crozon, the town, is not only charming but is home to the famous Morgat marina. Crozon-Morgat Marina is also known as 'Port de Plaisance Crozon-Morgat' or 'Port of Crozon-Morgat'. The Marina has beautiful surroundings and, thanks to the many facilities that are present within the area, visitors, those who are in love with exotic destinations, will be amazed by this mixture of rock and turquoise waters, soft sands and lush grasses. Away from the Port, Crozon has many fine old homes and hotels that look directly onto the vast beaches. 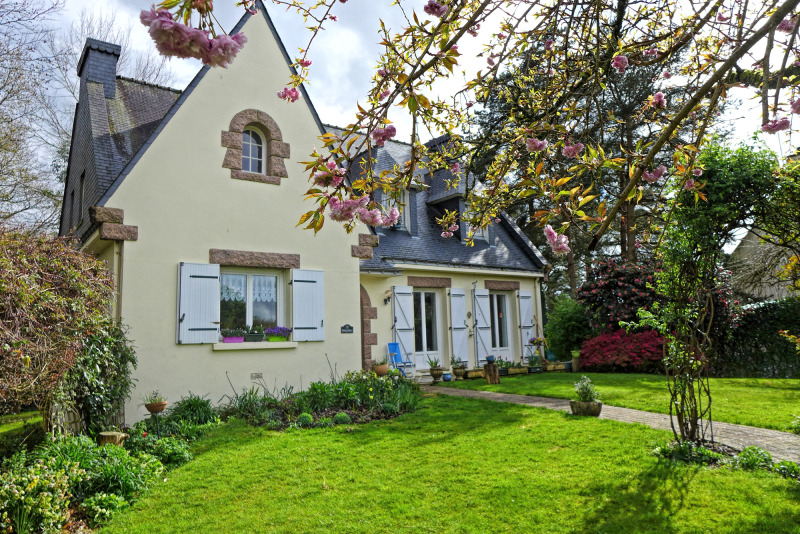 These old french properties are often surrounded with charming gardens, with a dreamy other-worldly elegance. You can visit one of the restaurants, cafés or creperies for a bite to eat. Crozon is busy in summer with limited parking. If you are lucky enough to visit, try to take the tourist boat rides around the peninsula. Also there is a mineral museum that is well worth a visit too.